The months of investigative reporting of illegal logging activities in Romania and the link to Holzindustrie Schweighofer were confirmed in a report a few days ago by the Forest Stewardship Council (FSC), the world’s most influential forest-products certification organization. The 110 page report describes in detail the findings of a nearly year-long investigation of more than 400 documents into allegations of illegality on the part of Austrian timber processing company Holzindustrie Schweighofer. In a new documentary from 2018, the effectiveness of the FSC eco-label in protection primary forests is still questioned. Please also read: Can FSC eco-label stop logging primeval forests? FSC ( Forest Steward Council) shall disassociate from Holzindustrie Schweighofer and all companies controlled by Gerald Schweighofer. Inspection reports from the government and other sources indicate that timber purchased by Holzindustrie Schweighofer is affected by some level of illegality in all of the above categories. This includes failures to comply with the law carried out directly by Holzindustrie Schweighofer employees at its mills. In summary, government inspections carried out in 2014 and 2015 indicate that there were 48 legal failings at HS mills involving over 500,000 m3 of timber and that many suppliers of Holzindustrie Schweighofer including some FSC certificate holders had been involved in illegal forest activities. Of the small sample of suppliers and contractors inspected, 56 were found to have legal compliance issues affecting almost 200,000m3 of timber. It is known that Holzindustrie Schweighofer has more than 1000 timber suppliers, but not all these have been inspected. Government inspectors conclude that HS has created structures for the laundering of illegal timber. The Complaints panel has found that there is clear and convincing evidence that Holzindustrie Schweighofer has been involved in the trade in illegal timber both by accepting illegal timber into its mills and by its own actions in the mills. The panel has also found that Holzindustrie Schweighofer has developed a supply system that encourgages overharvesting of legally stipulated production levels in order to meet volume demands. In addition, Holzindustrie Schweighofer has unwisely associated with companies and individuals with strong allegations of illegal and corrupt actions against them and in some cases has pre-financed their forest activities. The Complaints panel is also aware of more recent allegations of illegality and corruption surrounding timber that Holzindustrie Schweighofer sources from Ukraine for its mills in Romania. These were not investigated by the Complaints panel. Even though the report uncovered clear evidence, such as sourcing illegally logged timber, by Holzindustrie Schweighofer in Romania that went against FSC certification policy the FSC Board of Directors failed miserably to follow the Complaints panel recommendation that the company be disassociated from the FSC. Instead all the FSC Board of Directors were able to agree upon is to put Holzindustrie Schweighofer on a two-month probation during which time it must fulfill certain conditions. Nature Conservationists are sure, that this overly mild probation period is in fact encouraging every illegaler logger to continue its illegal practice and sell the illegal cut wood under the FSC label. First the local authorities failed, then the Romanian government failed, then the EU failed and now the international community failed again to stop the Deforestation in Romania. 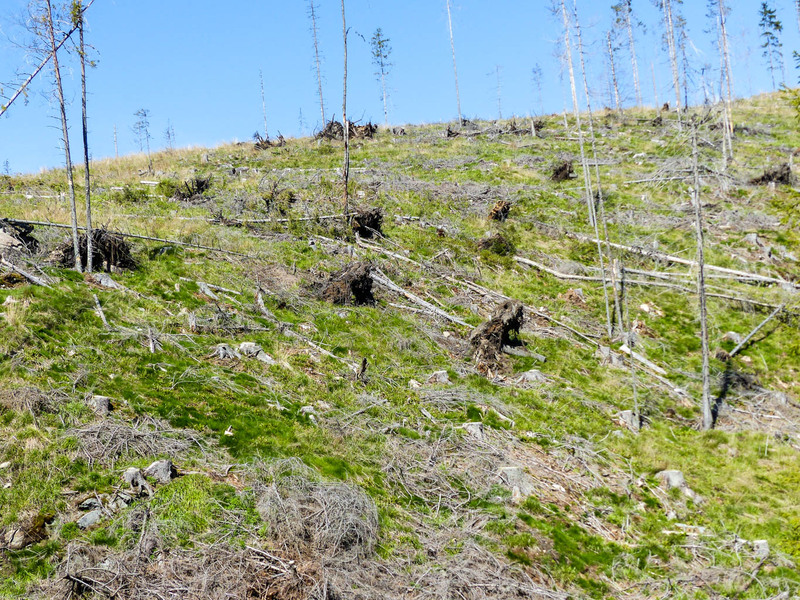 Every day 48 hectare of Europe´s last Old-Growth forest in disappearing. We should be all ashamed of ourselves. State Nature Conservancy of the Slovak Republic supports wilderness!